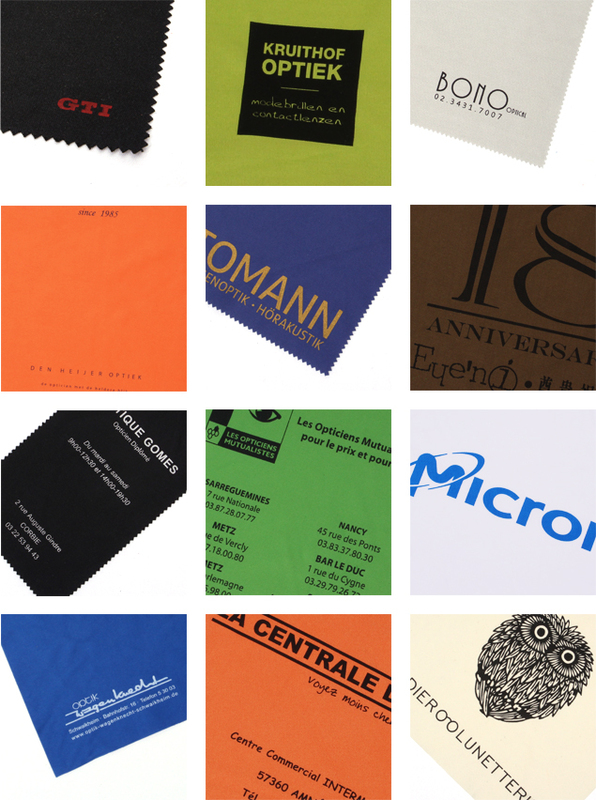 We print right to the edge so your finished cloth looks just like it's printed on coloured cloth. Can be printed one side or both. Stunning results with stunning artwork. We take a high quality, thickish white cloth and using a digital print process, recreate your artwork. We print right to the edge so your finished cloth looks just like it's printed on coloured cloth. Can be printed one side or both. Stunning results with stunning artwork. 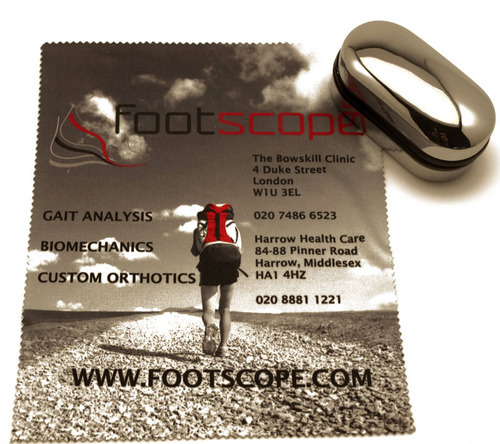 Embossing a pre-coloured microfibre cloth gives it a more subtle finish but remains very effective and attractive. This is more suitable for bold artwork and goes well with a nice straight edged finish as shown in the picture. If what you need is a coloured microfibre cloth printed just one colour then this method may well be suitable. We have some standard coloured cloths available. As screen printing tends to sit on the surface of the cloth we would suggest printing in one corner only to reduce the chance of scratching when the cloth is used. A great alternative if you want something distinctive and different for your microfibre cloths. Artwork needs to be bold for this approach to work best, and you can choose to have dots scattered all over your cloth.